I think a lot of people have a love hate relationship with cranberries. 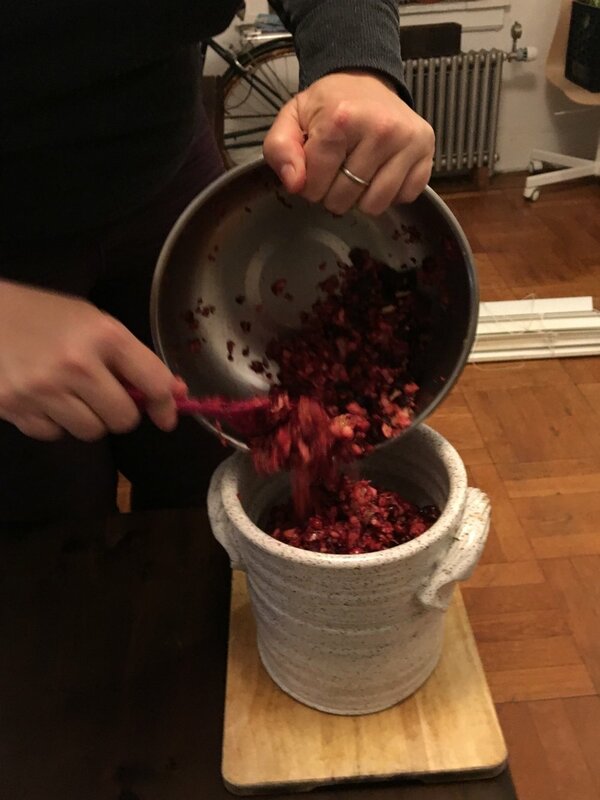 As the holidays have rolled around and Thanksgiving came I was thinking a lot about cranberry sauce and how I like it and yet I don't like it but, something in me wanted to redeem what magic cranberries do have so I took it to the kitchen and with the power of fermentation by my side decided to whip up a fermented cranberry relish and the result was a good one! I packed multiple jars for friends and family on a recent Thanksgiving trip to Virginia and Washington DC and it was a hit! Lovers of cranberries and non lovers alike enjoyed this tangy fermented gift. 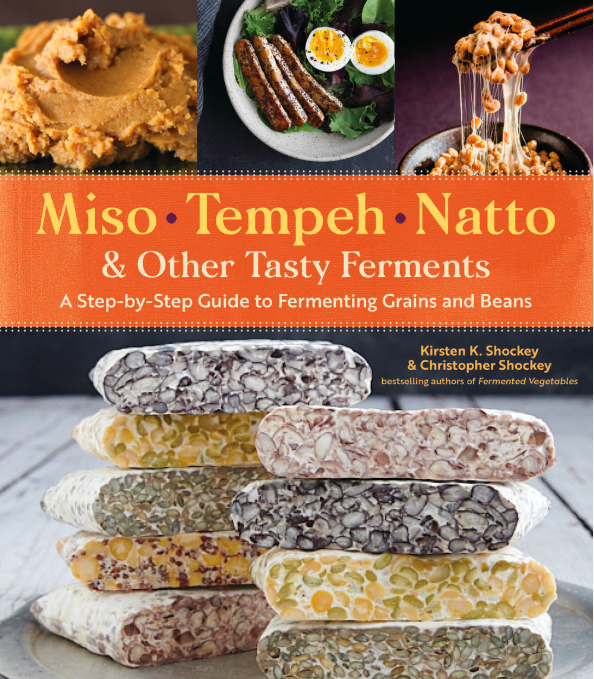 With the hollidays in full swing we hope you'll take a stab at this yummy ferment for the holidays. Take your cranberries and put them in a food processer and rough chop them. Move to a bowl and add a sea salt. Stir well to allow the brine to start coming out of the cranberries. Grate the ginger root. Add the ginger, sugar, and dried cranberries to the bowl. Mix well. Add cinnamon or chopped walnuts as an optional added bit of magic. Move the mixture to a jar and pack it down, add a weight to keep it submerged below the brine. Cover with a lid or towel and put in a cool dark place to ferment. We let our sit for about 5 days before harvesting.